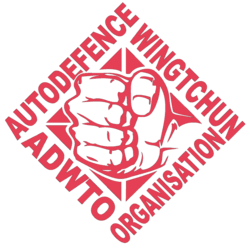 What is AutoDefence WingTchun Training? A contemporary health and Self Defence activity teaching the dynamic skills and techniques of WingTchun. It’s a one-stop shop for getting fit and active, having fun, losing weight, meeting new friends and mastering exciting, practical skills. A professionally registered fully equipped training gym, with fitness suite, and training hall – established over 20 years ago. Modern, progressive coaching style with three renown international Master Coaches – combined experienced of 109 years experience! Unique training plans to ensure your training and progress follows your pace – as designed by Grandmaster Nick Smart over 45 years. Non-mystical Self Defence training, that people have travelled for from as far-wide as Argentina, USA, Hong Kong and across Europe. Emphasis on getting active, skilled for a great endorphine release! Where are your Self Defence clubs? We have the international headquarters on the outskirts of Manchester for the AutoDefence WingTchun Organisation in Chorley Lancashire, and also clubs in England, Malta, Slovenia, Slovakia, Argentina, France, Italy, Sweden – To find a club local to you, please use the “Find a club” button at the top of this page. Each club sets its own rates for Self Defence training and special deals or a pay and play basis, so please enquire at your local club for specific pricing. The total cost of Self Defence training includes a very reasonably priced organisation membership, facilitating a three year programme of works and trainee manual, competitively priced training equipment (protective equipment), class training fees, modern training kit, and occasional grading examinations, for those who wish to have recognition of their efforts. Compared to normal gym memberships, AutoDefence is a low-cost way to go beyond exercise. All fitness levels are catered for. Please do not think you need to already be fit before you start. If you’re not very fit now, starting AutoDefence WingTchun now is how you get fitter, trainees will adapt to the intensity to their personal fitness needs. If you are in doubt, please consult your doctor. 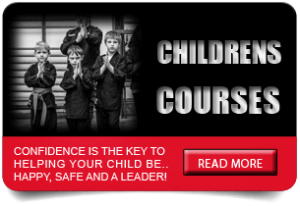 You will learn the skills, discipline and knowledge of the AutoDefence WingTchun Self Defence training system. You will learn how to develop your skill, reflexes and power. You will develop your fitness and flexibility. You will learn how to be the calm in the storm. And you will learn effective self defence and strategies for use in everyday life. Is it hard? Will I get hurt? We recognise people want to receive effective training with a very low risk of injury. Over many years, we have developed a style of training which maximises effectiveness within a framework of low risk. The Self Defence training path is carefully designed to develop competence in controlled situations before advancing to sparring work (optional) and we use protective equipment to ensure any accidental bumps and hits are protected against. I you have any further concerns or requests we are here to help. 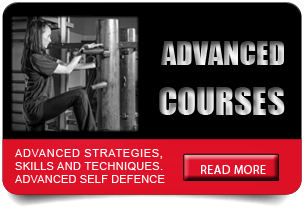 WHY CHOOSE AUTODEFENCE FOR YOUR SELF DEFENCE TRAINING? Ours is an international training organisation which has been committed to quality, excellence and personal progression since its origins in the early 1970’s. Our Principals Grand Masters Nick Smart and Milan Prosenica have been distinguished Self Defence trainers on the world stage for over 40 years. Principal Coach Nick himself started Self Defence training in these skills way back in 1973—the very earliest days of these skills in the UK. In short, very few UK trainers have been around these skills longer than Nick! Both Nick and Milan have trained numerous high quality Self Defence groups and trainers for the Police, Army, Prison officers and Special Tactical Units, along with Martial Arts exponents, including the many top-level fighters; a national Boxing team, K1 and UFC champions to name a few, along with trained exponent Master Coaches – some of who continue to work with Nick today. Sadly, Principal and Great Grand Master Milan Prosenica passed away, but his works is kept alive through his students and this group. The organisation has a very mature training programme which is constantly re-tested and evolved as necessary. It also has a clear, structured progression path for all trainees as well as clear standards. Furthermore, it has a board of control to steer the group, so nothing is left to chance. 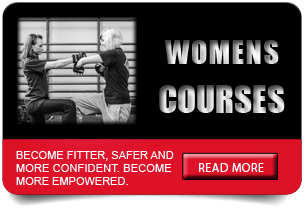 Lots of adults would love to get fitter and master exciting Self Defence skills. Lots of adults would love a vehicle for getting out of the house and dissolving the stress that builds up in the work day. Lots of adults would love to get more svelte, or a flatter stomach and fit gain, This is ideal for that! 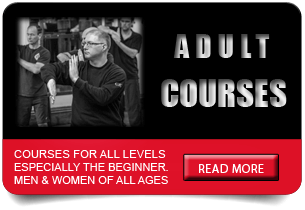 Our adult self defence classes run at convenient evening and some weekend times so you can get your training and enjoy the benefits when it suits you most, or indeed regular personal private tuition to fit your needs. To join everyone who is already benefiting, click on our Find A Club to find out where you can train today. AutoDefence WingTchun Self Defence is effective for adults, no matter what your fitness level or age – so what are you waiting for…! Learn the discipline of mind and body? Establish the habit of exercise from an early age? Develop their love of getting out and being social? Develop physical skills beyond what most people can normally demonstrate? Have a vehicle to expend their excess energy? Be able to protect themselves and be safe? If this appeals to you, please use Our Gyms to find a participating centre.